What to look for when choosing where to buy your wedding dress? 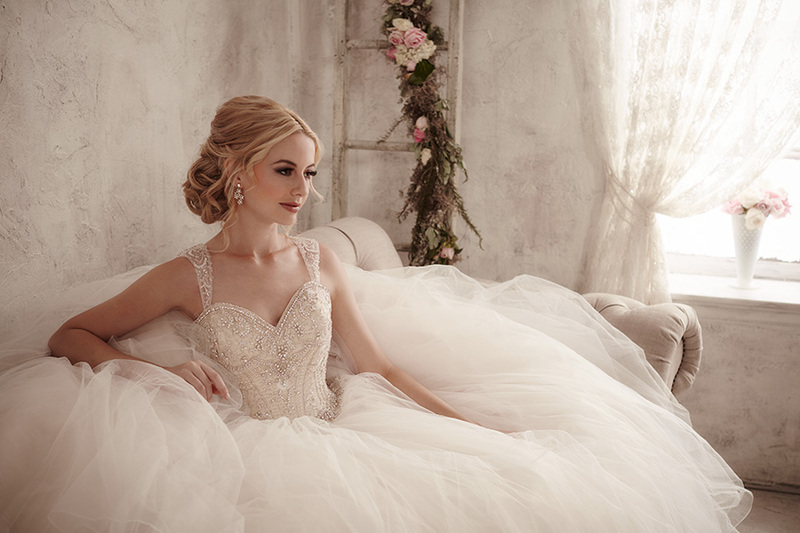 The obvious thing would be – a big wedding dress shop with a lot of dresses to choose from. Is bigger better when choosing who to buy your wedding dress from? Well, there is nothing more disappointing than visiting a shop with a fantastic website with hundreds of gorgeous pictures, only to find the shop is tiny with little selection or out of style wedding dresses. For bigger stores, you may have to share your appointment with up to ten or more other brides! Neither scenario is ideal. Here at Naomi Hilton Bridal, we feel we have the balance just right. Our Midlands wedding dress shop is very spacious and has recently been refurbished offering a bridal changing suite with privacy for the bride and her party. We only serve one bride at a time meaning you get full choice of our extensive range of wedding dress samples and your own dedicated bridal consultant for the duration of your bridal appointment. We have regular deliveries from our designers of all the latest Wedding dress trends for 2016, 2017 and 2018. We also have sample sizes 8 – 26 on our rails meaning we can accommodate every size and shape of bride to be without you having to imagine what the fit will be like or squeeze into a too small gown which can be uncomfortable and embarrassing. So when you are shopping for your wedding dress in the Midlands or Staffordshire areas, why not visit Naomi Hilton Bridal of Cannock first. You could save yourself a lot of time and have a fantastic and enjoyable experience finding your dream wedding dress with us. Wedding dress shopping is an important part of planning your special day. Choosing your wedding dress should be fun – choosing your wedding dress shop should be easy!